Last month the actor - who earned a cult following through such hit movies as Trainspotting, The Full Monty and The World Is Not Enough - was shooting scenes for The Legend of Barney Thomson, in which he'll play a barber-turned-accidental serial killer. 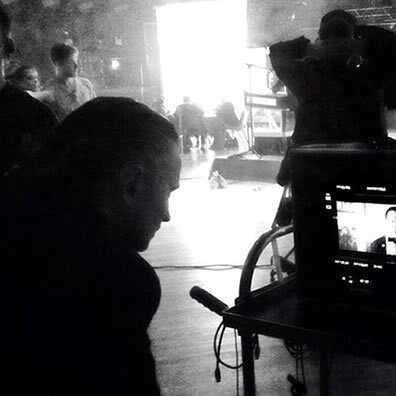 The Legend of Barney Thomson, which he was spotted shooting in Glasgow's Merchant City, has Robert as the title character - and he made his directorial debut on the project. Also featured in the film is big screen tough guy Ray Winstone, who plays Police Inspector Holdall in the dark comedy. The film, based on The Long Midnight of Barney Thomson by author Douglas Lindsay, also stars Oscar-winning actress Emma Thompson, who will play Carlyle's antagonistic mother. I was lucky enough to see him filming some scenes at a pub and in a street at the Barras. I can't wait to see the final outcome. Icon (Mel Gibson’s company) has the UK distribution rights, so although The Legend of Barney Thomson doesn’t yet have a release date, I think it’s safe to assume one will be forthcoming.